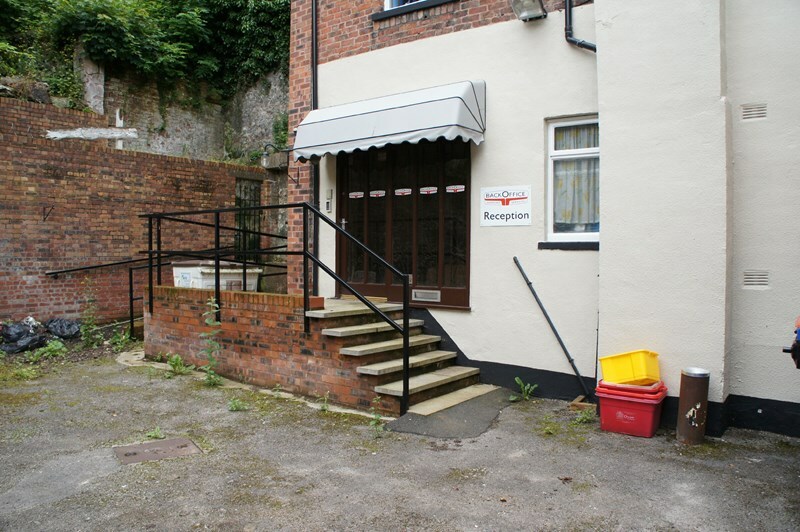 These offices are located in the town centre being convenient for all amenities, also having rarely available car parking at the rear. 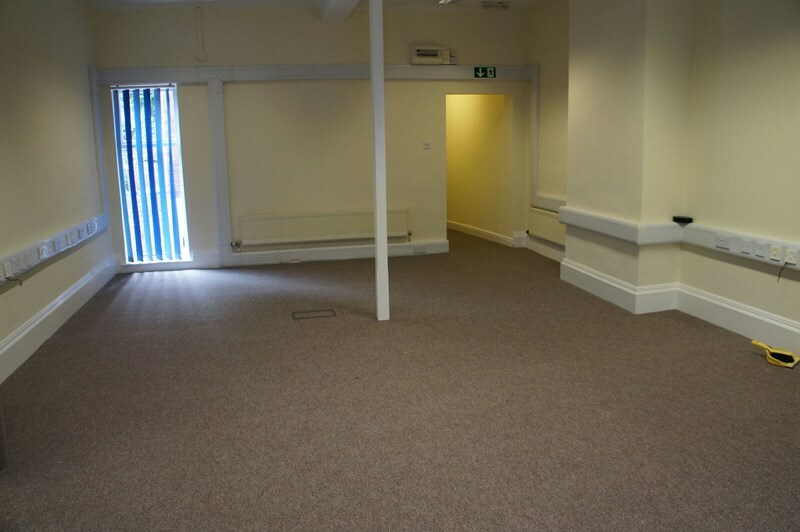 The offices are ready to move into having been totally re-decorated, most of the carpets are new and also having computer networking, gas centrally heating, modern striplighting, fire safety systems installed, alarmed and having disabled access and w.c. facilities. Only a physical inspection can reveal the high calibre of the accommodation being offered. Congleton is the largest town within the Congleton Borough. Strategically located between the industrial regions, with the Potteries to the South and Manchester to the north, which has led to an expansion in industrial and office activity. The town benefits from easy access to the motorway network (junctions 17 and 18 of the M6) and Manchester International Airport. The Inter-City rail service is available at Congleton, Manchester, Crewe and Wilmslow. Stone flag floor. Stairs to first floor landing. 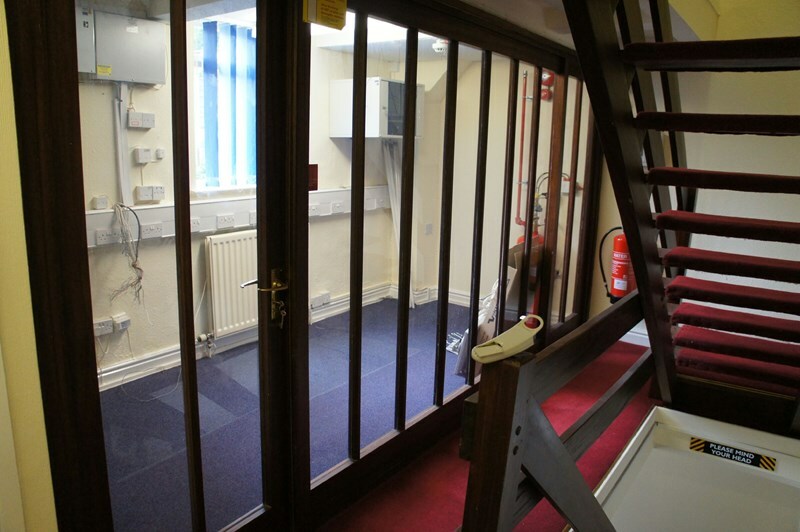 Access to first floor accommodation and staircase to second floor landing. (presently used as an opps room). Glass and timber frontage. Made into large open plan area. Door to stairs leading to ground floor. Doors to disabled w.c. and separate w.c.
Store cupboard. Door to w.c. Stainless steel single drainer sink unit set in base unit with laminated preparation surfaces over with space below for appliances. 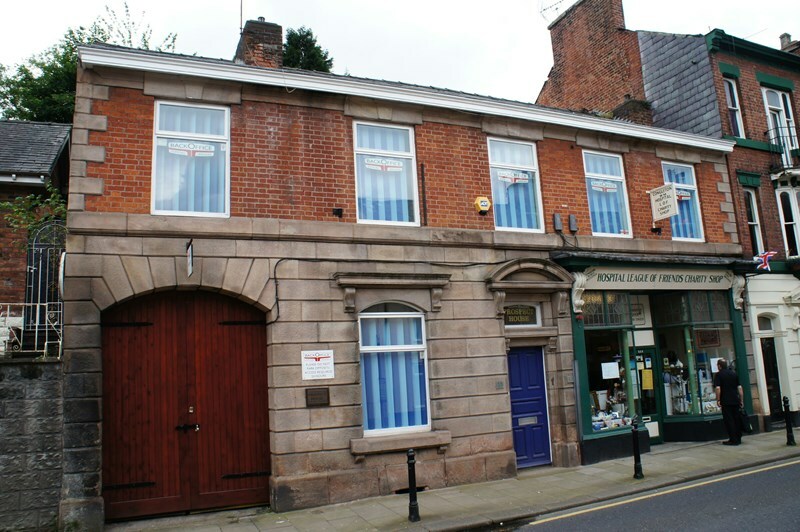 Access door from Lawton Street to an open plan hall/large office, the hall area having original Minton tiled floor with stairs leading to the first floor accommodation. Gas central heating boiler. Gas meter. Electric meters and consumer units. Arched vehicle access with timber gates from Lawton Street leading to tarmacadam rear parking area with steps and disabled ramp giving access to Reception. The premises are available subject to a new lease, terms to be agreed. Landlords reasonable legal cost are to be paid by the ingoing tenant.